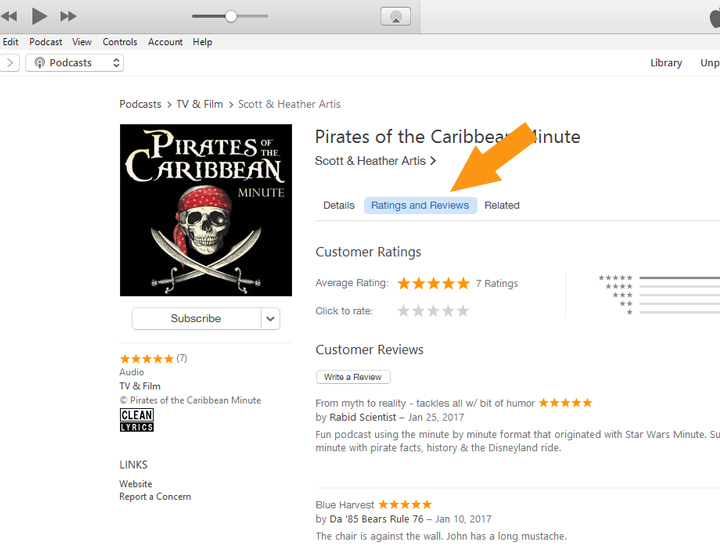 Thanks to everyone who left a review on iTunes and Stitcher. 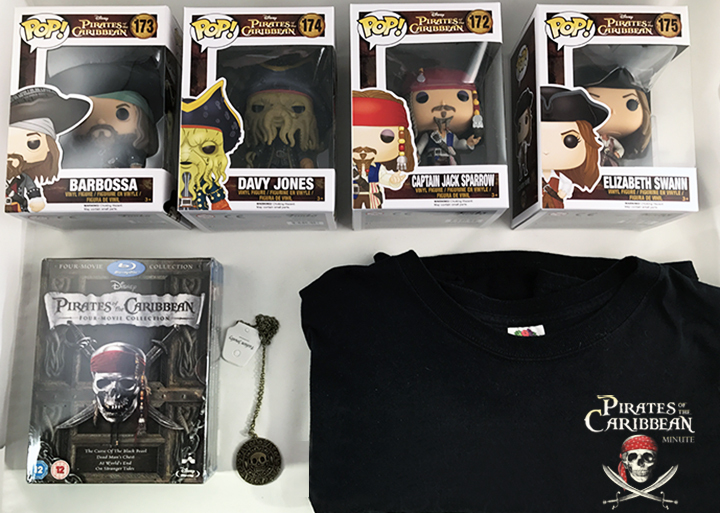 Your support for Pirates of the Caribbean Minute has been great and we love the support and feedback! 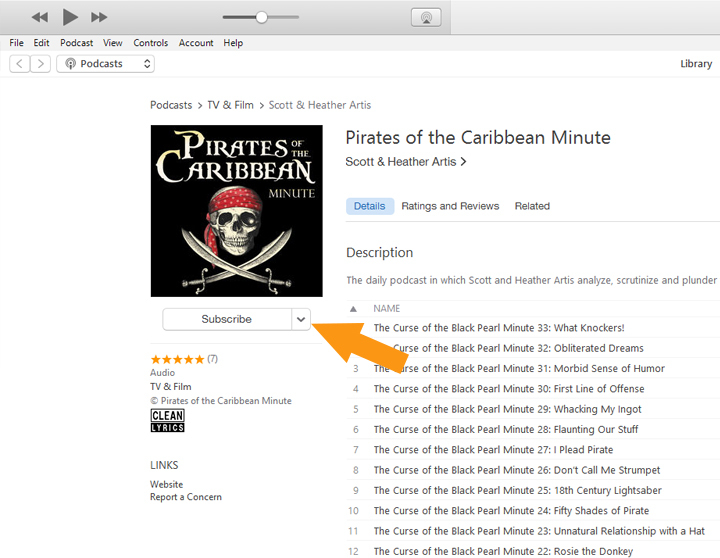 We look forward to bringing you more swashbuckler content and continually striving to deliver the best show possible. Here are the iTunes/Stitcher winners nicknames. Hey scallywags! It’s our first listener appreciation contest. Ratings and reviews do wonders for the show – they help us out a lot. Plus, we love to read your reviews and hear your thoughts. To celebrate the fairly recent launch of our show, we’ll be giving away prizes to 3 randomly selected people who leave an iTunes (or Stitcher – to leave a review on Stitcher CLICK HERE) review by 11:59 pm (Pacific Time) on Sunday, March 12, 2017. 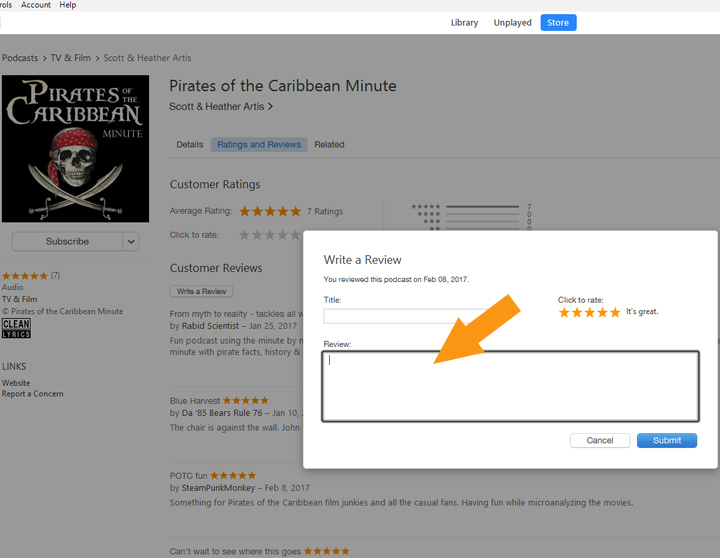 After you submit your review, send us an email to podcast@blackpearlminute.com with your user name and let us know you left a review so we have a way to contact you if you win. 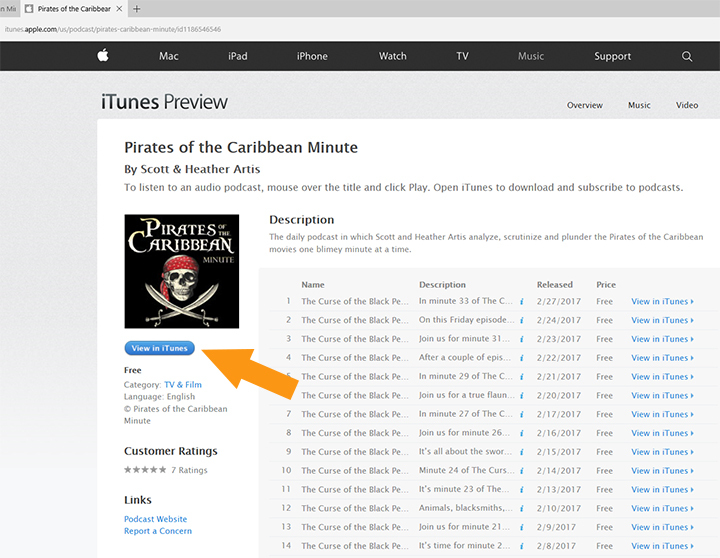 If you have already left a review, no worries – just send us an email and let us know…you are still eligible for the giveaway (Please note that iTunes moderates comments so you will not see it posted right away). Unfortunately, the giveaway is only available for U.S. residents. For the official rules click here. Send us an email – let us know that you submitted a review and tell us your user name so we can contact you if you win. Your email will only be used to let you know if you are a winner.